Lukyanenko N. S., Iskiv M. Yu., Kens K. A. Among the diseases of urinary system, one of the most important factors is pyelonephritis (PN), since in 86.0% children the episodes of its exacerbations are observed. In recent years, there is 2–2.5:fold increase in the incidence rate of its latent forms. Congenital defects of collagen formation can become the basis for different pathological changes of the kidneys. Objective: incidence rate analysis of congenital defects of the urinary system (CDoUS), as visceral markers of fibrillogenesis violation, in children with various course variants of PN. Material and methods. In total 148 children aged from 3 to 18 years were examined. The first group included 92 children with chronic pyelonephritis, in which three or more episodes of PN relapse during two years (I:CPN) were diagnosed in a catamnesis, and the second group consisted of 56 children with acute PN, in whom there were non:relapsive disease within two years (II:APN). The control group comprised 65 apparently healthy children. All children underwent clinico:laboratory and nephrourologic examinations and markers of fibrillogenesis disorder were detected that are as follows: phenotypic signs of undifferen: tiated connective tissue dysplasia (UCTD) and urinary excretion of oxyproline. Results. Only the I:CPN children had phenotypic characteristics of UCTD, such as joint hypermobility, visual impairment, chest deformation, scoliotic posture and arachnodactylia. They were also registered a high rate of increased oxyproline urinary excretion, which was 9.7 times higher than in II:APN children, which confirmed the presence of UCTD in I:CPN patients. CDoUS were diagnosed in 90.52% of I:CPN children, whereas in II:APN group — only in 8.93% of cases. Among CDoUS, vesicorenal reflux with pyelectasia (in 52.17% of I:CPN children) and kidney duplication (in 11.96% of cases) were mostly detected. Conclusions. Phenotypic signs of UCTD in children with CPN were statistically significant as compared with children with APN. The high urinary excretion of oxyproline in almost all children with CPN indicates an increased disintegration and excretion of collagen by:products, which denote a severe violation of collagen catabolism in children prone to relapses of PN and confirms the presence of UCTD. Laboratory evidence of UCTD in children with CPN makes it possible to consider diagnosing CDoMS as visceral markers of UCTD. Key words: children, pyelonephritis, connective tissue dysplasia, oxyproline, collagen. 1. Antonova I.V. (2010). Analysis of the frequency and structure of malformations of the urinary and reproductive organs in neonatal children in Omsk. Pediatrics. 3: 135-137. 2. Borovikov V. (2001). Statistics: The art of data analysis on a computer. For Professionals St. Petersburg: Piter. 3. Vozianov OF, Maidannik VG, Biednyy VG, Bagdasarova IV. (2002). Features of childhood nephrology authors. Kiev:Knyha-plus. 4. Golovkevich, V.P. Petersburg V.V, Kalyshchuk O.A, Mihal L.Ya., Nikulin G.G., Serbina I.Ye., Kalinina N. A., Guivan G.I. (2014).Differential tactics of treatment of nonreflexive mega-vertebra in young children. Surgery of childhood. 3-4: 58-63. 5. Zaremba YeKh, Rak NO. (2015). The manifestations of undifferentiated connective tissue dysplasia on the part of the cardiovascular system in patients with arterial hypertension. Acta medica Leopoliensia. XXI; 2: 14-18. 6. 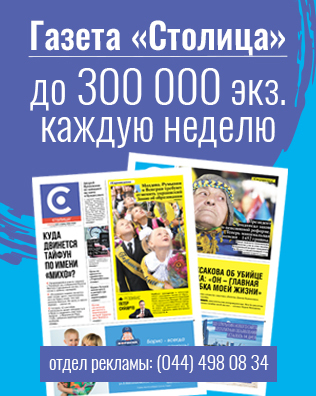 Kazimirko VK, Ivanitskaya LM, Dubkova AG et al. (2013). Diagnostic difficultis in undifferentiated connective tissue dysplasia in rheumalogists clinical practice. 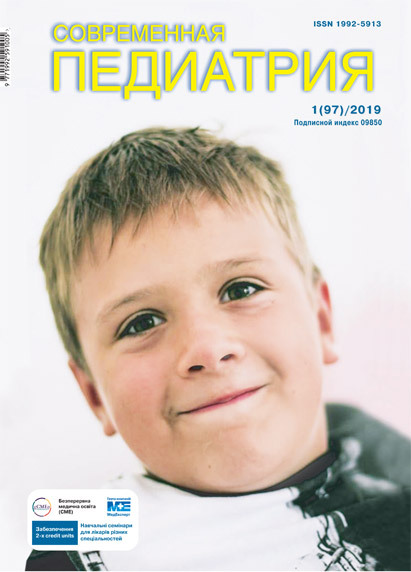 Ukrainian journal of rheumatology. 3(53): 96-100. 7. Lavrenchuk OV, Driyanskaya ВЕ, Bagdasarova IV, Petrina OP. (2013). Anti-relapse treatement of chronic urinary tract infection in children. Modern Pediatrics. 4(52): 157-161. 9. Makeeva NI, Pidvalna NA. (2012). Features of metabolism of connective tissue in children with a single kidney. Pediatrics,Obstetrics and Gynekology. 4(452):30-33. 10. Nazarenko LG. (2010). Dysplasia of connecting work: the role of elimination and gestational problems. Women's Doctor. 1: 42-48. 11. Nestorenko ZV. (2012). Connective tissue dysplasia – medico-social phenomenon of the 21st century. Pain Joints Spine. 1(5): 17–23. 12. Nechaeva GI. (2002). Connective tissue dysplasia. Proceeding of the Symposium. Omsk: OPMA. 13. Nyan'kovs'kiy SL, Dobrik OO, Іs'kіv MYu. (2016). Metabolic therapy and its role in the complex treatment of connective tissue dysplasia in Pediatric Nephrology. Sovremennaya Pediatriya.1(73): 131-136. doi 10.15574/SP.2016.73.131. 14. Osipenko IP, Solienko OV. (2011). Visceral markers of connective tissue dysplasia in men with idiopathic mitral valve prolapse. Clinical and Experimental Pathology. 10; 2(36); Pt 2: 78-81. 16. Solyenko OV, Rykalo NA, Osypenko IP, Soleyko LP (2014). The syndrome of undifferentiated connective tissue dysplasia: from the concept of pathogenesis to the treatment strategy. Tutorial. Vinnytsya: Nova Knyha. 17. Tymochko-Voloshyn R, Mukhіn V. (2014). On the problem of connective tissue dysplasia in children: means of physical rehabilitation. Physical activity health and sport. 1(15): 46-53. 18. Filipenlko PS, Drapeza EM, Dolgova IN, Malookaya YuS. (2004). Pathology of internal organs in young people with connective tissue dysplasia syndrome. Fundamental Research. 5: 16-18. 19. Schmidt G. (2009). Ultrasound diagnosis. Practical guidance. Ed. prof. A. Zubarev. М.: МЕДpress-inform. 560. 20. Yur'yeva EA, Dlin VV. (2002). Diagnostic guide for nephrologist. Moscow: Overley. 21. Beighton P, Paepe A, Steinmann B. (1998). International nosology of heritable disorders of connective tissue. Am J Med Genet. 77; 2: 31-37. doi 10.1002/ajmg.1320290316. 22. Kuprienko NB, Svetlova ZV, Smirnova NN. (2017). Metabolic basis of urinary tract infection prophylaxis in children. The Scientific Notes of the I. P. Pavlov St. Petersburg State Medical University. 24(1): 22–27. doi 10.24884/1607-4181-2017-24-1-22-27. 23. Muller RF, Jong ID. (2001). Emery’s Elements of Medical Genetics: Churchill, Livingston.